The Dow Jones has lost over half of what it was worth less than 2 years ago. Most mutual funds have lost even more – up to 80% of all their money. With the current financial crisis in full swing – it seems that whatever you put your money into – you will still lose. Stocks are making new lows, mutual funds are losing value, house prices are dropping and commodity prices are coming down from the stars. It seems that the safest way to take care of your money is to stay away from investing as far as possible! Just keep your money stashed under the mattress and hope that no one finds it! There is however another possibility. Throughout time art has been an obsession for the super rich. There is a good reason for that – they tend to have classy taste! The problem with art and the rich is however that there is not enough unique and classy art to go around for all the rich people. In other words – there are more rich people than there is unique and rare art. Thanks to the law of supply and demand – this means that whenever you have managed to buy a true masterpiece there will already be a line of people behind your door that want to buy your newly acquired painting for an even larger amount. Investing in art has some troublesome aspects when compared to usual investing – you want to physically move your newly acquired paintings from one place to another while making sure that the paintings don’t get damaged or stolen. Luckily there are special Art Storage companies to do just that – they take your painting, keep it safe and even hold it for you as long as you want. I’m Not Super Rich! Can I still invest in art? Well, the short answer is – No! But the good news is that the longer answer is – Yes! The simple truth is that when you don’t have the money to buy the multi million paintings you will be left with the cheap stuff. As always – cheap things are cheap for a reason. When it comes to art the most usual ones are that no one wants the art of a particular artist or that the works are not original enough. Over time art and paintings tend to get more expensive – this means that when you manage to buy the works of an artists who will make it big after 10 years you will most probably grow your investment by more than 20 times. Furthermore – when the artist dies the value of your paintings will most likely double or triple. You should always keep in mind however that most artists will never make it big – only 1 in a thousand will get famous. Picking the right artist is tricky and requires a thorough understanding of art – if you don’t understand what you are buying you should stick to keeping your money under the mattress! To give you a feeling on what kind of sums we are talking about in regards to unique and classy art – here is a picture of the most expensive painting ever sold. It is called No. 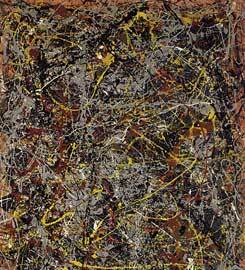 5 and its done by Jackson Pollock – a famous American author famous for his abstract expressionist paintings. If like me – you are wondering how something like that can be worth 140 million dollars – you should better stick to investing in what you know! (or keep your money under the mattress). On the other hand – if you feel like something is missing from the picture you should know that I cropped the second half (that looked exactly the same) in order to fit it in this article. If by looking at the picture you can seriously say that it feels kind of incomplete – maybe dealing with art is the way to go for you! Personally I have never invested in art but I feel that some day I just might try it. Not to make a fortune but to own the things I really like! Well if you are able to speculate the art market, then for sure you can make a lot of money reselling the paintings down the long run! Great blog! One other investment that always goes up is Real estate. Still interested in starting a business? Expect to make six-figures if you contact me 888-775-7672 – J.D. well you are actually foolish, real estate is always a safe investment. markets fluctuate, but just because they are (/were) currently down does not mean that people are losing a ton of money. the united states lost a ton of money because of their financing policies, and when the banks went under they wanted all their loans repaid and thats why everyone was losing their homes. you need to read. not always ,suppose the place is badly hit by a calamity,or perhaps a newly discovered fault line past on. Art for amateur investors? No way. That’s an interesting idea – I’ve never thought about investing in art. Then again Car Insurance Phi has a point – only the rich can afford to buy art and amateurs like us don’t have money. I wouldn’t buy this kind of art unless it was painted by Van Gogh or some other known artist, oh and I’d also have to be rich. Otherwise, the most I’d pay for this painting would be $1, HECK I can make that myself actually. Jackson Pollock is a “known artist” girl! 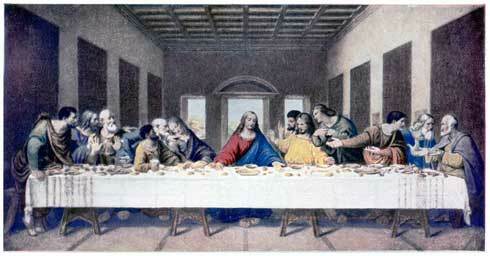 And read up on this painting, theres much more to it that you might first suspect. Even “hidden” treasures! I’m with you — how could that scribble possibly be worth much money???? My kid can do the same thing (being totally serious here, he could). And thus the real problem with speculative investment in art. There is not much rhyme or reason like there used to be. Look at the old masters, and why they are “masters” is generally clear. Look at some of the new stuff and it’s a crap-shoot. It is not about superior skill or superior technique. Instead it is about being able to catch the fancy of the art wold elite. you have to remember its not always the artwork itself, but the time period and the meaning behind it. Let me requite what socialanarchy just said “you need to raid”. the united states lost a ton of money because of their financing policies, and when the banks went under they wanted all their loans repaid and thats why everyone was losing their homes. you need to read. it was painted by Van Gogh or some other known artist, oh and I’d also have to be rich. Otherwise, the most I’d pay for this painting would be $1, HECK I can make that myself actually.